Comfortably situated on Park Avenue in the heart of Carnegie Hill. This two bedroom 2.5 bath home is located in a full service co-op on the west side of Park Avenue. With North and East exposures, this apartment boasts 9ft ceilings, beautiful hardwood floors, and closets galore. The charming entry foyer leads to a huge gallery facing a spacious living room on Park Avenue. Just off the living room is a dining room also facing Park Avenue which can be accessed through the kitchen as well. There are two bedrooms accessed through a hallway off the gallery. The master bedroom has two generous closets, and a dressing room that leads to the en-suite bathroom. The second bedroom, currently used as a study, offers a large closet and en-suite bath as well. This cooperative has 24-hour doormen, live-in resident manager, friendly staff, a laundry room, a gym, bike room, and individual storage units. 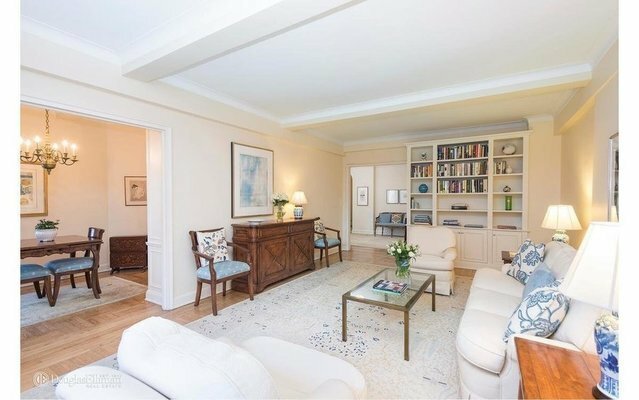 A short distance from Madison Avenue, Central Park, museums, schools and the 92nd street Y. Pets okay. 2% flip tax by buyer. Starting February 1st there will be a special 18 month assessment which will be paid by the seller.